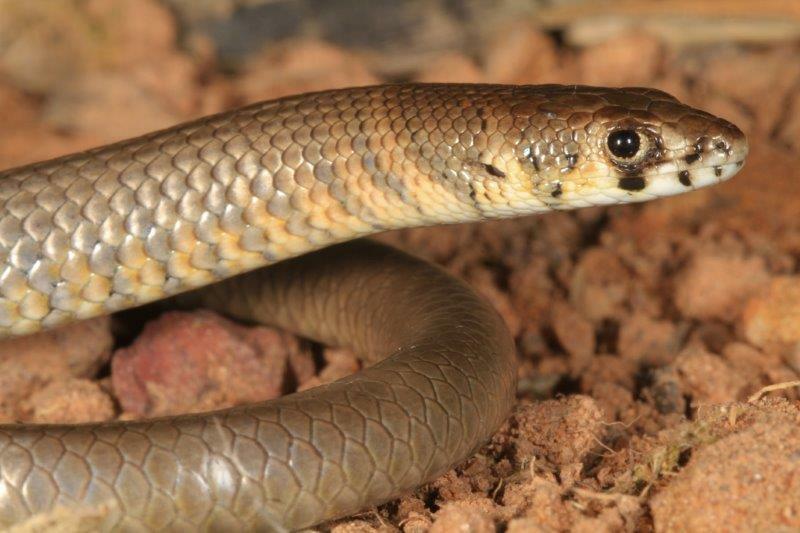 St. Patrick may have been able to expel all of the serpents from Ireland (not really, they just never made it there), but he missed a little lizard by the name of Zootoca vivipara, the Viviparous or Common Lizard. Although a few marine reptiles grace Ireland's shores, including Leatherback (Dermochelys coriacea), Hawksbill (Eretmochelys imbricata), Kemp's Ridley (Lepidochelys kempii), Loggerhead (Caretta caretta), and Green Sea turtles (Chelonia mydas), and the introduced European Slow-worm (Anguis fragilis) may remain hiding in the Burren of County Clare, Z.vivipara is the only native terrestrial reptile found in Ireland. Despite a broad distribution (see map below) across Ireland, this little lizard continues to be a surprising find, even for those who live, or have lived in Ireland (my dad included). Distributional records of Z.vivipara from the Republic of Ireland and Northern Ireland. High concentrations of reports from the Wicklow Mountains in the East, Comeragh and Monavullagh Ranges in the South, and Galway Bay region in the West, highlight coastal heath and undisturbed habitats preferred by this species. Map credit Farren et al., 2010. Ireland doesn't seem like a particularly hospitable place for a small lizard, but Z.vivipara manages to persist in much colder climates. The range of this species spreads from as far west as the Emerald Isle and as far east as Japan, crossing through Russia, Mongolia, and Kazakhstan. They extend down into the Iberian Peninsula, across the northern reaches of the Mediterranean, and north into the nordic countries of Sweden, Norway, and Finland. The amazing success of Z.vivipara, is likely due to their ability to frequently reinvent themselves. As an adaptation to a broad range of climes, the Viviparous lizard is both oviparous (egg laying: France, Spain, Italy, Austria, Slovenia), and viviparous (live birthing: rest of range, and some overlapping regions). Perhaps most interesting is that the switch from oviparity to viviparity has happened more than once (Surget-Groba et al., 2006). We found Z.vivipara along the southern coast in coastal heath along the cliffs of Ballycotton. A nice sunny day brings these sluggish little guys out for a bit of basking, and wherever there was a break in the clouds, there were several Viviparous lizards piled up like solar panels. That's all for now, but maybe I'll return to talk a bit more about the biogeography of Ireland, and why its herpetofauna is so depauperate compared to the rest of the British Isles. Z.vivipara found in coastal heath along the cliffs of Ballycotton. Farren, A., Prodöhl, P.A., Laming, P., Reid, N. 2010. Distribution of the common lizard (Zootoca vivipara) and landscape favourability for the species in Northern Ireland. Amphibia-Reptilia 31: 387-394. Download. Surget-Groba, Y., Heulin, B., Guillaume, C-P., Puky, M., Semenov, D., Orlova, V., Kupriyanova, L., Ghira, I., Smajda, B. 2006. 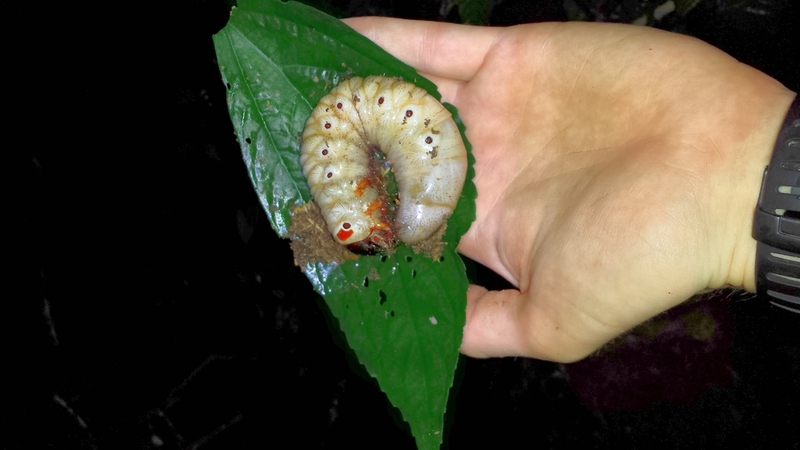 Multiple origins of viviparity, or reversal from viviparity to oviparity? 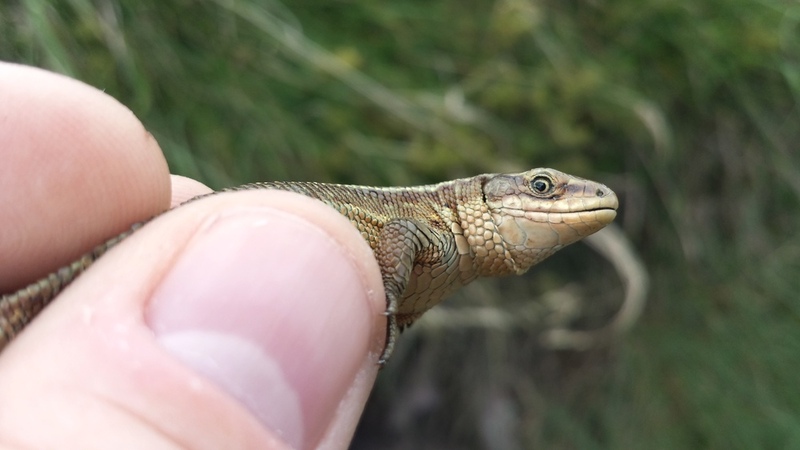 The European common lizard (Zootoca vivipara, Lacertidae) and the evolution of parity. Biological Journal of the Linnean Society 87: 1-11. Download. All the lab work from the past couple of years is finally paying off, and we've gotten another paper published in Zootaxa today. Download. 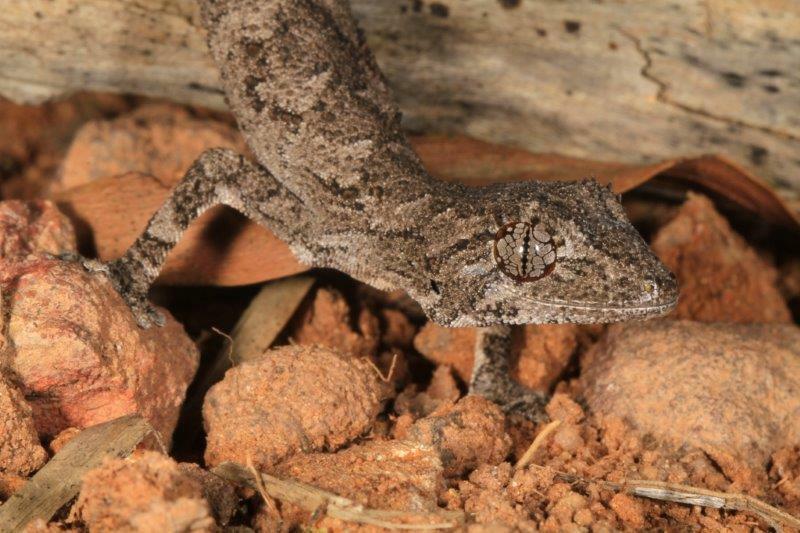 We describe a new species of Blaesodactylus gecko from northern Madagascar, and estimate the phylogenetic relationships within the genus. Madagascar is an amazing place with plenty of species waiting to be discovered, so long as deforestation, overcollection, and invasive predators don't get to them first. Myself, Jackie, Ben, and Adi on our way from Ba'kelalan to Merarap. After spending the past 3.5 weeks in Sarawak, Malaysia, I'm back home in Canberra. Usually I'd be happy to be back home, but Sarawak is such an amazing place to visit, I can't say I was ready to leave. 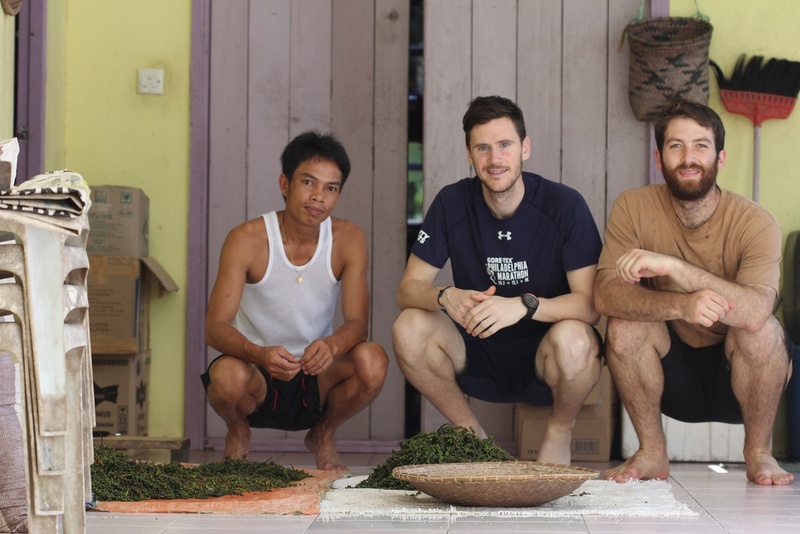 At the beginning of June, I joined up with my friends Ben and Jackie in Kuching, and we started a trip that spanned Sarawak, West to East, lowlands to highlands. I can't thank Ben enough for putting together such an awesome and successful trip, and Jackie for her fantastic photography skills. We spent as much time in the field as possible, sampling primary forest in National Parks all over, and you can find a brief storyboard of the trip here. But maybe the best way to summarize the trip is via photos, I can't take credit for any of the photos below, so all praise is due to Jackie and Ben for their amazing photography skills. You can check out more of their work by clicking here. diagnostic head scalation of Delma hebesa sp. nov. 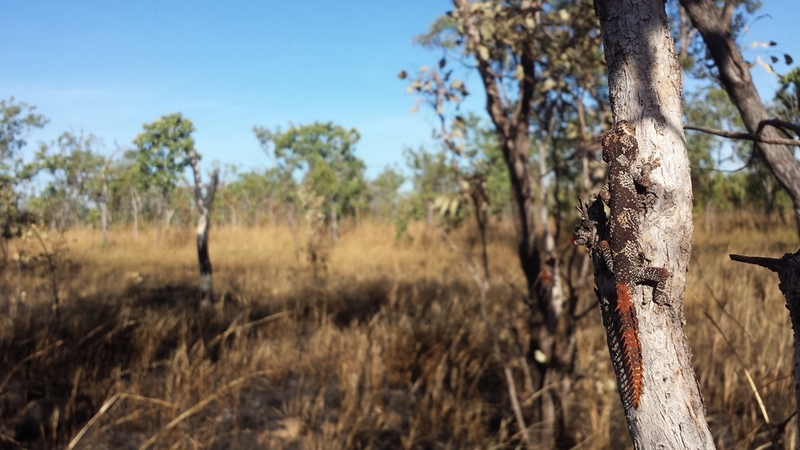 I'll update later this week with some more photos from my trip to Nitmiluk, but here are a few to start off. Water dragon hanging in the Banks building courtyard. 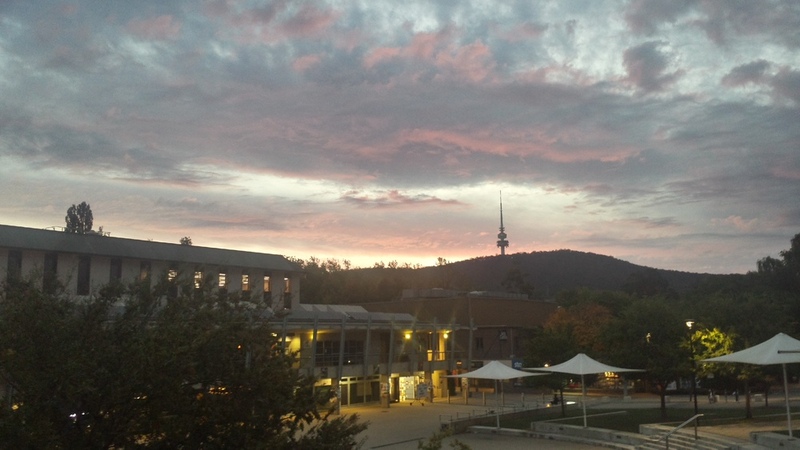 sunset over Black Mountain, ANU campus.